Hugh A. 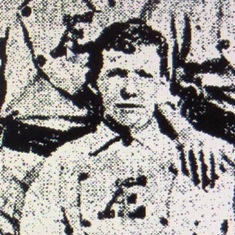 “Hughey” Reid only appeared in one professional game; he went 0-4 and played right field in a game for the American Association’s Baltimore Canaries against the White Stockings in Chicago in August of 1874, as was the practice at the time, Baltimore recruited Reid, a local semi-pro player to fill in for the injured Oscar Bielaski. Among Reid’s teammates with the Aetnas were future big leaguers Jimmy Hallinan and Reid’s brother-in-law and catcher Paddy Quinn. Reid worked as a stereotyper (made metal printing plates), for The Chicago Evening Post after his career ended. 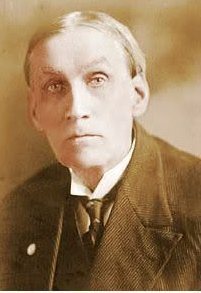 In 1920, Reid was interviewed by Alfred Henry “Al” Spink, founder of The Sporting News. By 1920, Spink, who had played amateur baseball in Chicago against Reid with a team called the Mutuals (named for the more famous aggregation in New York), had relocated to Chicago and was writing for The Evening Post. The occasion was “field day exercises of the old timers” at Pyott Park at the corner of Lake Street and Kilpatrick Avenue in Chicago; the days events were followed by a banquet. “Cap” Anson, Charles Comiskey, Hugh Nicol, and Fred Pfeffer were among the dozens of former pro, semi-pro, and amateur players who attended. 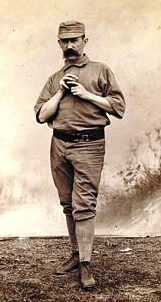 “Without a doubt Cummings was the first pitcher to put the curve on the ball. 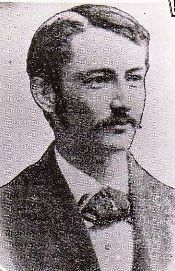 “As Cummings was using the outcurve as early as 1867, and Bobby Matthews only broke into the game at Baltimore in 1869, there is very little doubt as to who discovered the art of curving.